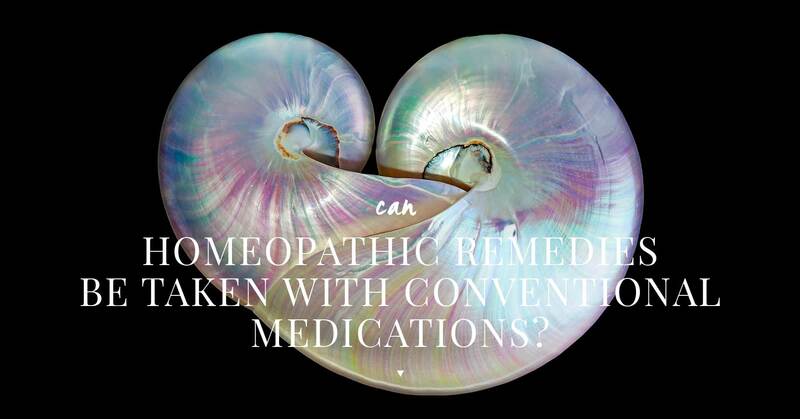 Can homeopathic remedies be taken along with conventional allopathic medications? Yes. Homeopathy and allopathy can be taken together. Many people who seek out homeopathic care are already taking conventional medication in the hope of reducing or eliminating the medication. With the proper remedy and treatment plan, this often may be possible. Patients should be aware that their taking of medications, prescribed by their GP, is a matter of consultation between the patient and their GP. I will under no circumstances seek to instruct on this matter and whilst advice may be given in general terms, the varying of the medication prescribed by a Doctor should only be in consultation of that Doctor. There are a few obvious things to be aware of: since conventional drug medicines will have suppressed those symptoms, or introduced new and misleading ones through side-effects, the homeopath’s task becomes more challenging, as a prescription has to be made on the partial symptom picture of remaining symptoms, or on those that existed before the conventional drug was given. If enough of these symptoms remain, or can be remembered, good results are achievable. On starting homeopathic treatment, you may find that you gradually reduce your need for these drugs. There can occasionally be interactions between drugs and herbs or vitamins. However, homeopathy will not influence any drug treatment. Homeopathy will not interfere with any herbs or vitamins. Homeopathy is also safe with cancer treatments such as chemotherapy or radiotherapy. One problem is that if you combine homeopathy with other treatments, it may be hard to tell what medicine is causing changes. If you want to know what is causing what, the approach should be to only change one thing at a time, whether you are starting homeopathic treatment, herbs, new vitamins, diet or reducing a prescribed drug.